Reports have been made of Blue-Green Algae on Upper Prior Lake this week. Algal blooms are more common in summer months, but they can happen during other times of the year. 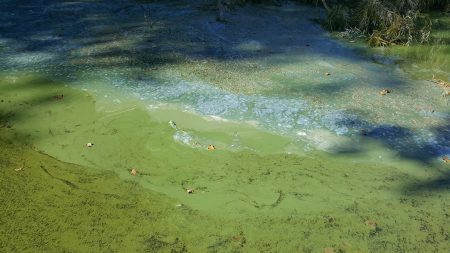 Please be sure to keep out of the water if you suspect Blue-Green algae as it sometimes contains a toxin that can be harmful if ingested. Pets are especially at risk since they are more likely to go into the water regardless of what it looks like. When in doubt, best keep out! Lakes are usually stratified (separated into layers by water temperature) during summer and winter, but mixing occurs in spring and fall. According to McComas, area lakes are still stratified, but shallow water areas have been mixing. When lakes mix, or “turn-over”, the water from the bottom of the lake comes to the surface, and vice versa. Warm spring air temperatures cause the top of the water to become warmer than the bottom, which in turn causes the lake to “turn over” because of differences in the density of water at different temperatures. Water is most dense at about 39 degrees Fahrenheit. During fall, the cool air temperatures will cool the surface water and create the same phenomena when the surface water becomes cooler than the bottom of the lake. This mixing process can promote algae growth if the bottom of the lake is high in phosphorous and the weather is right. Wind and rain can also cause mixing. 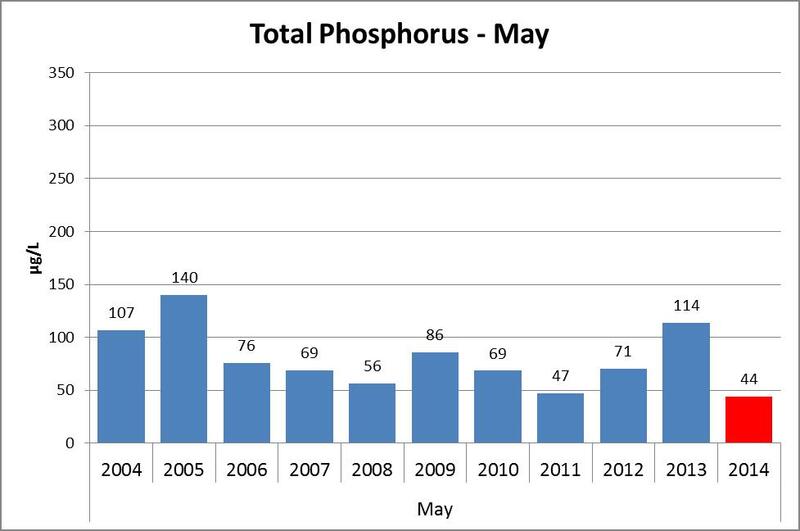 Upper Prior Lake has higher phosphorous levels in the lake bed than both Lower Prior Lake and Spring Lake. 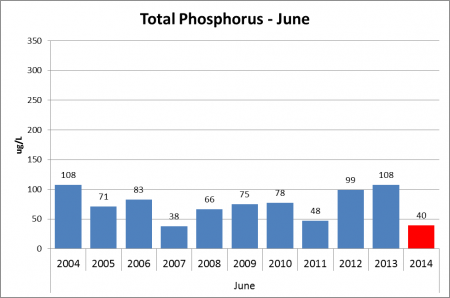 The Prior Lake – Spring Lake Watershed District is currently conducting a study to analyze options for reducing the phosphorus in the bottom of Upper Prior Lake. As was done in 2013 on Spring Lake, an Alum treatment is one option being considered. 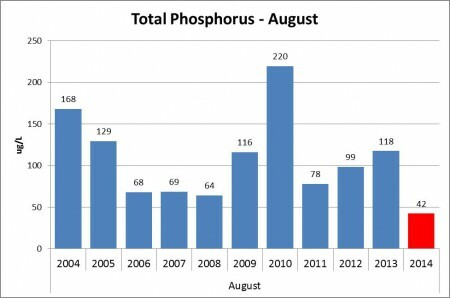 The phosphorous levels are high from an accumulation of many years of input from the watershed. According to studies, most of the phosphorous comes from agricultural areas, but some also comes from urban areas. Urban areas have fertilized lawns and leaves from trees that fall into the streets and are washed into the lake through the storm sewer system. 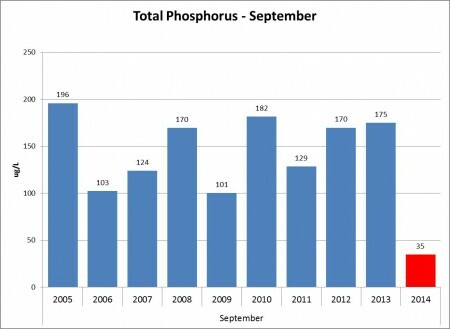 If you live in an area that drains to a lake, some of the things you can do to reduce phosphorous inputs are to use phosphorous-free fertilizers, install native plantings along your shoreline or in a rain garden, mulch or compost leaves and grass clippings, and pick up after your pets. 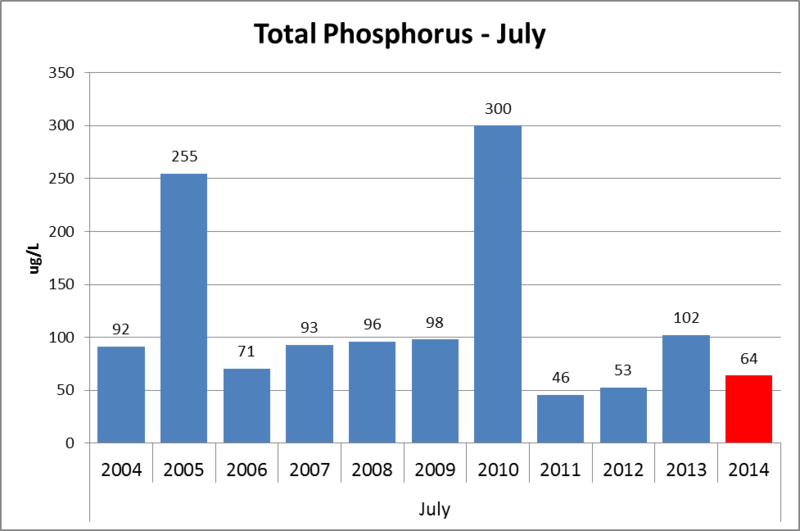 For more information, please review this past article we posted about Blue-Green Algae if you have algae by your shoreline. Minnesota has nearly 150 species of aquatic plants, most of which are native species. Maybe you have encountered some of them while enjoying nearby lakes. To some, aquatic vegetation is a nuisance: plants that brush your legs while swimming or catch your fishing line sure don’t seem helpful at the time. But did you know that these same plants can actually help create conditions suitable for recreation? Although each person may view the plant kingdom with varying opinions, aquatic plants do play an important role in creating a healthy lake ecosystem. 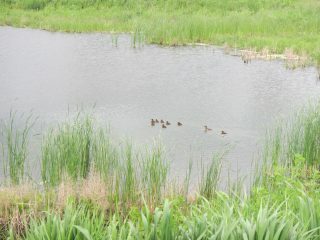 Ducks are one example of wildlife that require aquatic plants for habitat. Exploring our lakes, lake vegetation monitoring! As valued and well used as Prior Lake and Spring Lake are, there is still much mystery below the surface. Where are certain plant species growing, and why there? Have invasive species treatments been effective? How does plant growth affect lake clarity? To address these questions, the Prior Lake-Spring Lake Watershed District (PLSLWD) is taking action. In 2013, the PLSLWD started using a program called BioBase, an Automated Vegetation Mapping program, to determine how lake vegetation is changing over time. BioBase uses sonar to detect a lake’s depth, bottom hardness, and vegetation density. With this information, the PLSLWD can make many comparisons which will help influence management decisions within the district. The Prior Lake – Spring Lake Watershed District (PLSLWD) treated Spring Lake with Aluminum Sulfate (Alum) in October of 2013. The graphs below summarize sample results that have been taken since 2004, by the Three Rivers Park District. Two to Three samples are taken each month (during ice-free conditions), and the average monthly concentrations are displayed below (each graph represents one month). The red bar indicates the samples were taken after the Alum Treatment. Water quality standards for Total Phosphorus on Spring Lake are currently held at 40 µg/L. However, the PLSLWD is submitting a request to the MPCA to raise the standard to 60 µg/L (which makes the standard less strict) based off of research that indicated Total Phosphorus on Spring Lake has never been as low as the current water quality standard. See 2013 Pre-settlement Water Quality and Algal Change in Spring Lake for a summary of this research, or 2013 Historical Water Quality and Ecological Change in Spring Lake for a full report. So far, the results are very encouraging; however, the flood likely has impacted the results in June and July.